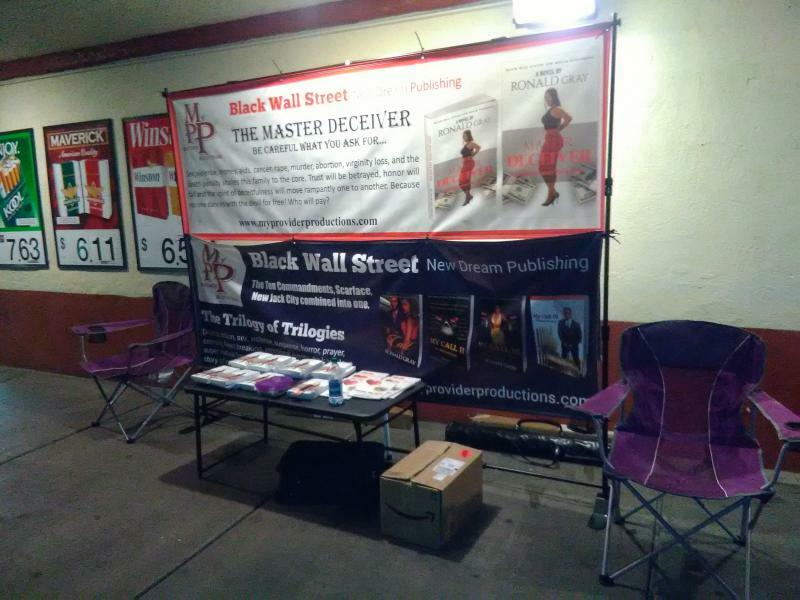 Book Street Sales - Forum My Business - Message Board We await your comments and input, so please feel free to leave your messages and respond to the various topics. Thank you. You never stop promoting your product. Writing a book is a big task for some and easy for others. 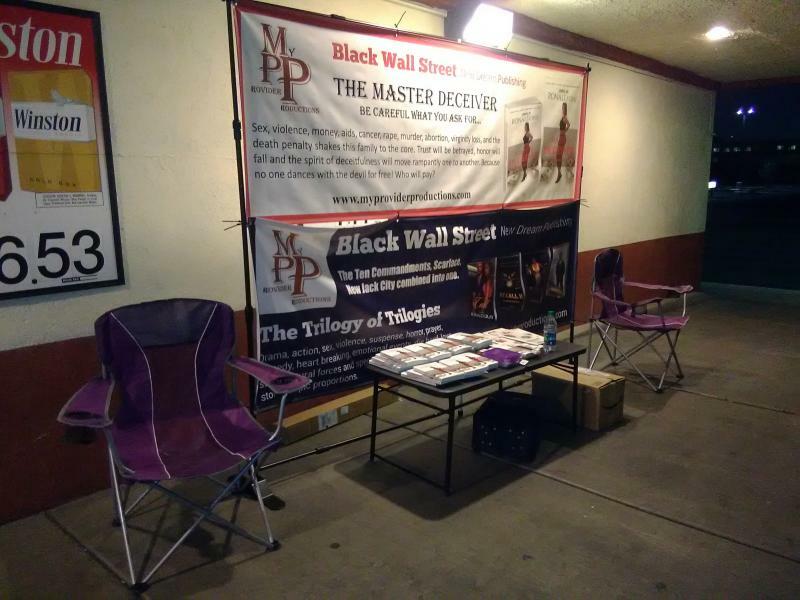 But it is the promoting that can be very hard and very time-consuming. Writing a book and adding it to Amazon does not automatically sell it. I love people so interacting with the readers is very rewarding. Street sales are not for everyone but the contacts, connections, and money can be very good. I was out all day at this location doing my thing. 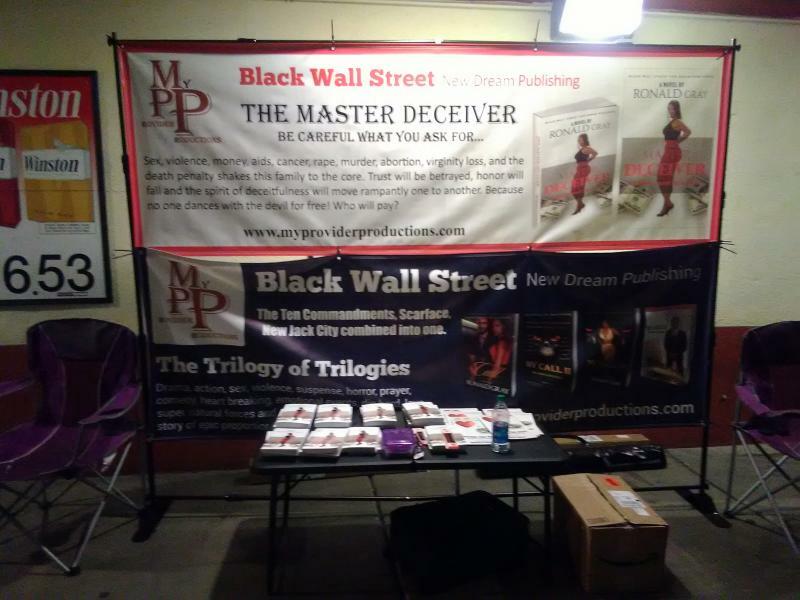 Because of the production of the movie from the book, "The Master Deceiver Be Careful What You Ask For" we are promoting the book aggressively. So much more is coming. 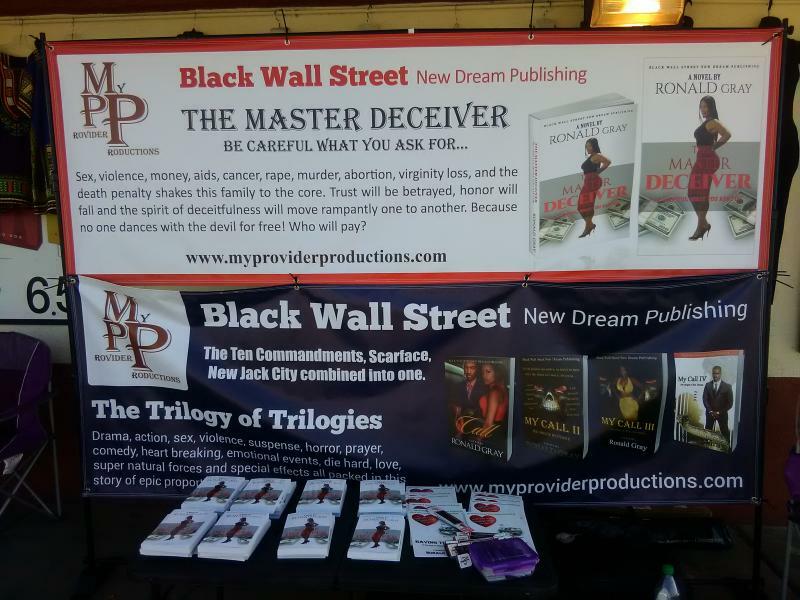 Take the time to view this one minute video of the book trailer for, "The Master Deceiver Be Careful What You Ask For". Share it with you friends. Thank you.